This is the first in a series of blogs offering tips on how to ensure that your students develop the employment skills they need to thrive after university. Employment skills, or employability, are the set of attributes necessary to attract and prosper in a professional role. These are distinct from the hard skills learned throughout an academic curriculum. Even though there has been little focus on instilling soft skills such as communication, problem-solving, teamwork and networking skills in students, in many campuses (be that in Edinburgh, Bristol or Mumbai), it is now the responsibility of universities to ensure students learn these skills before they graduate. Read on for four ways you can ensure your graduates gain the employment skills they need. During university, students are largely responsible for their own work outcomes. There might be an element of group work in certain disciplines (like lab work in science degrees), but the individual is largely responsible for how well they perform in coursework and exams. Enter the world of work and the paradigm shifts. Unless a graduate chooses to become a freelancer, it’s likely that the majority of work in a professional setting will be carried out in teams. Are you facilitating environments in which students have opportunities to work as teams? This could entail structuring the curriculum so that more assignments are completed in teams, tutorials are centred more around group discussion or students have access to mentor groups to discuss their progress and receive feedback. Actively encouraging students to engage in team-based extracurricular activities is another strategy that can develop teamwork skills in students. 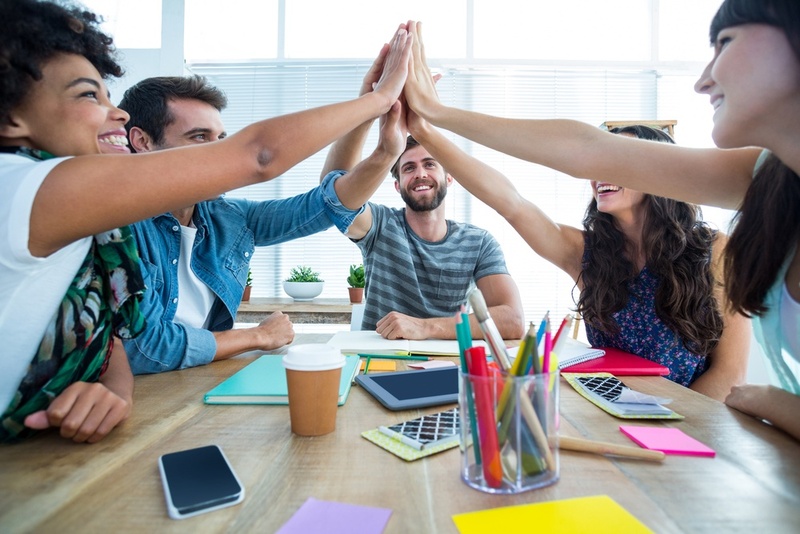 Teamwork also needs to exist between students and members of the faculty in order to create a culture focussed on promoting employment skills at university. Before students can improve their employability, they need to become aware of what employability is and which skills training they need to develop to become employable. A great way to generate this awareness is by incorporating aspects of employability training into the curriculum. Even a half hour at the end of a lecture is a good start. Beyond that, you can offer small group or one-on-one coaching sessions to get students thinking about employability and how they can start working on their personal brand (a key ingredient in standing out to employers). In these sessions, staff members can also provide guidance to empower students to develop the skills they need to create fulfilling careers. For the majority of its existence, university education has focussed on training students in an academic field and granting an associated qualification. Today, the focus has shifted to include preparing students for their careers. As such, students must be assessed and learn in a way that reflects how they’ll operate in a professional setting. For example, liberal arts subjects are traditionally assessed through the writing of lengthy essays. However, many of the industries in which liberal arts students work after graduation rarely require essay writing as a skill. Eliciting this type of change at curriculum level might take time, but you can start by considering ways to improve processes to make them more relevant to the tasks graduates will perform in a job. There’s a skills gap in the job market between what employers are looking for and what graduates offer in terms of transferable skills and attributes, with many employers deeming these graduates unready for work. Before you can help your students become more employable, you need to understand the job market and what organisations are actually looking for in job candidates. The easiest way to do this is by engaging employers: invite them to give talks and Q&A sessions at your campus, and invite their feedback about curriculum outlines. They could provide valuable feedback that you can use to ensure that the outcomes of your curriculum mirror what employers want from employees. Graduate work-readiness is more important than ever for guaranteeing graduates work after university. An excellent way to support your efforts to help students improve their employment skills is by offering a skills development programme they can complete individually and at a pace that suits them. Curriculo’s Industry Engagement Programme (IEP) is globally relevant and has been designed by industry experts to be completed alongside any degree course. Download the guide to learn more about the importance of employability and how to support your students in becoming better job candidates.